Thomson Geer Special Counsel Bridget Nunn discusses how schools can navigate today’s challenging risks in an article series for School Law News. In the introductory piece below, she explores what duties schools owe to key stakeholders in their community, both in common law and under statute. Bridget presented on this topic at a School Law Conference for Legalwise Seminars in South Australia. Today’s landscape presents a broad array of issues for schools to navigate, including child abuse, cyber bullying, gender issues and managing students with special needs. In this environment, it is sometimes easy to overlook the more traditional hazards in schools such as, the physical risks arising from school grounds, equipment and special activities. This series considers the scope of the duties owed by schools and other education authorities both at common law and under statute and the steps schools will need to take to discharge these duties with respect to some of the more common risks facing schools. ‘The immaturity and inexperience of the pupils and their propensity for mischief suggest that there should a special responsibility on a school authority to care for their safety, one that goes beyond mere vicarious liability for the acts and omissions of its servants’. The duty does not require a school to prevent all harm from occurring to students through excessive supervision, as it would be unreasonable and potentially damaging to constantly monitor students’ activities. Schools also owe a non-delegable duty of care to teachers and other employees. The duty extends to providing a workplace that is free from unnecessary risk of harm. To discharge this duty a school must ensure as a minimum that all equipment and facilities are safe and that all staff have been sufficiently trained. All jurisdictions in Australia impose a statutory duty on employers/businesses to ensure so far as is reasonably practicable the health, safety and welfare of all workers. A breach of this obligation may result in criminal prosecution, as well as a civil cause of action. The primary duty also extends to people other than workers, requiring a PCBU to ensure, so far as is reasonably practicable, that the health and safety of other persons is not put at risk from work carried out as part of the conduct of the business or undertaking. This duty arises in respect of students and other non working visitors to the school, for example, parents. What a PCBU is required to do to manage risks and discharge the primary duty largely depends on the PCBU’s ability to influence or control the matters associated with the risk. As far as such risks arise in the school grounds and are associated with activities carried out by teachers and/or students, the school as a PCBU is likely to have a significant amount of influence and control. Statutory duties with respect to health and safety also arise under the specific legislation regulating schools and teachers. For example, in South Australia, the Education and Early Childhood Services (Regulations and Standards) Act 2011 (SA) provides that in order to be registered a school must provide adequate protection for the safety, health and welfare of its students. These safety requirements are generally stated and are unlikely to take a school’s statutory duty beyond what is required under WHS Laws. It is clear that the nature of a school’s obligations with respect to the care of its students gives rise to a standard of care that is higher than many other businesses, organisations or institutions. This is particularly so at common law but arguably, also applies to duties under the WHS Act. In order to run a successful education institution, schools by their very nature need to exercise a high level of influence or control over the school environment and its activities. This in turn means that the scope of actions that are considered ‘reasonably practicable’ for a school to take in order to discharge its statutory duty is particularly broad. This is not to say that schools should be overly cautious and protective when it comes to managing risks to their students. Courts have recognised the need to give students a level of freedom and the benefits this poses to social development. The remainder of this series considers how to find the balance between discharging a school’s duties and the ‘cotton wool’ approach to risk management in relation to more common risks arising in schools. Special Counsel Bridget Nunn advises a wide range of clients in relation to both employment and work health and safety law. Her practice includes front-end advisory work, contract and workplace policy drafting, industrial instrument interpretation and workplace training. 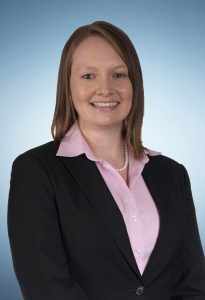 Bridget also represents clients in a range of industrial, termination, general protections, workers compensation and discrimination disputes, as well as work health and safety prosecutions and incident investigations. Bridget has a special interest in education law as far as it relates to employment and work health and safety matters. Bridget aims to provide her clients with advice and assistance, which not only achieves legal compliance but also strategically improves their business and workplace. Contact Bridget at bnunn@tglaw.com.au or connect via LinkedIn. Commonwealth v Introvigne (1982) 150 CLR 258. Commonwealth v Introvigne (1982) 150 CLR 258, 587.
 s19(1) of harmonised Work Health and Safety laws. s19(2) of harmonised Work Health and Safety laws. s43 Education and Early Childhood Services (Regulations and Standards) Act 2011 (SA).